You all know the Humble Bundle, right? It’s a collection of games that comes out every month or so with a pay-what-you-want scheme that allows you to get a bunch of popular titles for a few bucks, while donating to charity or developers at the same time. It’s awesome. We write them all up because cheap games and donating to charity are a win-win combo. 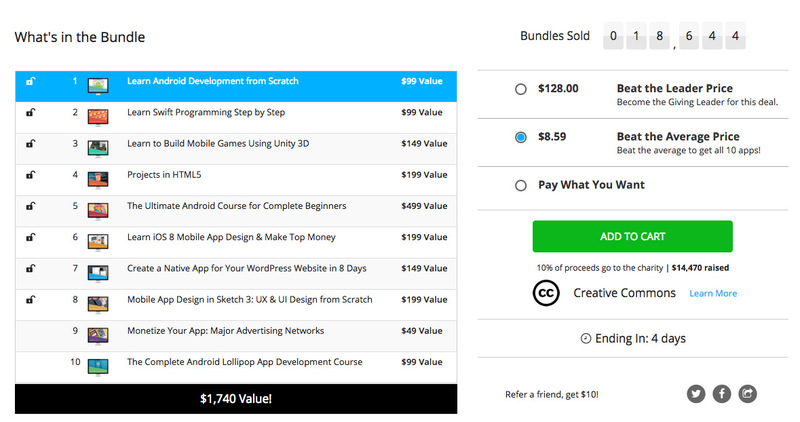 With this bundle, you get courses that will teach you Android development from scratch, building mobile games in Unity 3D, creating native apps, monetizing them, and how to get the most out of Lollipop development. The value of the entire package sits at around $1,700, but you can currently get the whole set for around $9.